Friday, work gave me a birthday cake so good I teared up. Next time you need a cake, allow me to suggest the red velvet from Nothing Bundt Cake, mine was the Center of Attention edition. Being the center of attention was a little nerve-wracking, but totally worth it for that cake!! Such a decadent indulgence means I need to work it off, right?! I gave myself a day off from unpacking and organizing. For my birthday, I gifted myself with a pedicure, lunch, solitude, and a few (ok, 12.5) units of botox. After a late lunch with family today, we came home to chip away at the unpacking and organization stuff. 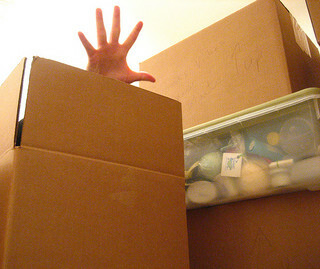 I unpacked another box, but more importantly, I launched Landrageddon. Unintended consequences of unpacking, organizing, and Landrageddon: The socks! Oh, man, the socks! 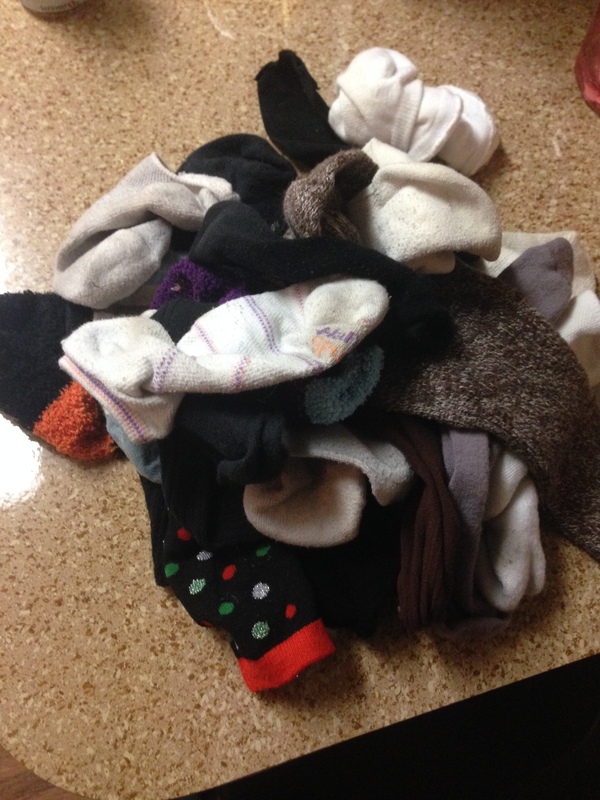 I knew I had some unmatched socks floating around, but after gutting my sock drawer and emptying one of two laundry baskets, these are the unmatched socks I’m facing!